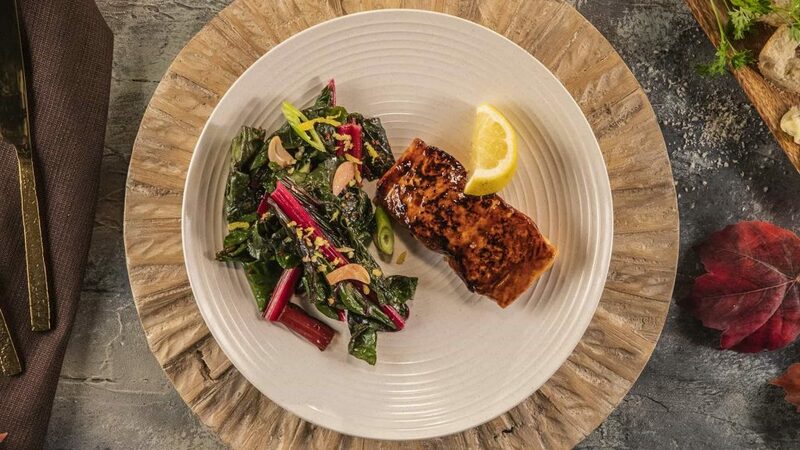 GET FAST, EASY SALMON RECIPES. Fall is all about pressing the restart button. New schedules, new routines, and new goals. It’s about focusing on healthy eating and spending as much time outside as humanly possible (before Old Man Winter rolls into town). 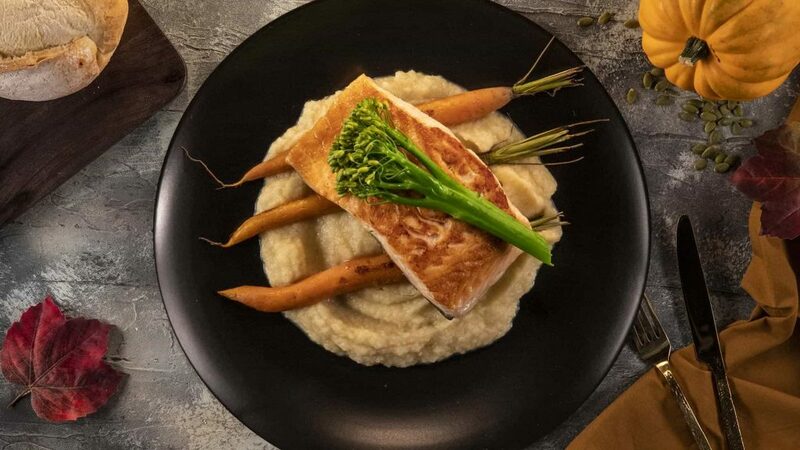 That’s where we come in: we’re here to help you prepare easy, speedy salmon recipes that’ll delight your family and make you famous. After all, there are leaves to be raked and trails to be walked. Combine 2 tbsp. oil, maple syrup, mustard, lemon juice, salt and pepper in a small bowl. 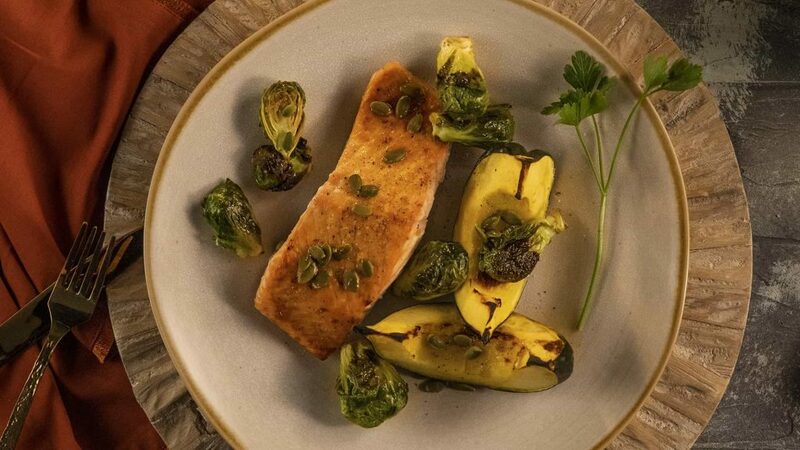 Toss squash and Brussels sprouts with 1 tbsp. oil on a baking sheet and bake for 5 minutes in a preheated 425°F oven. Add salmon to baking sheet and brush with maple mix. Drizzle remaining mixture on veggies and stir to coat. Bake for 8 minutes, then broil for 5 minutes. Sprinkle with pumpkin seeds. Preheat oven to 375°F. Season salmon with salt and pepper and place skin side down on baking sheet. 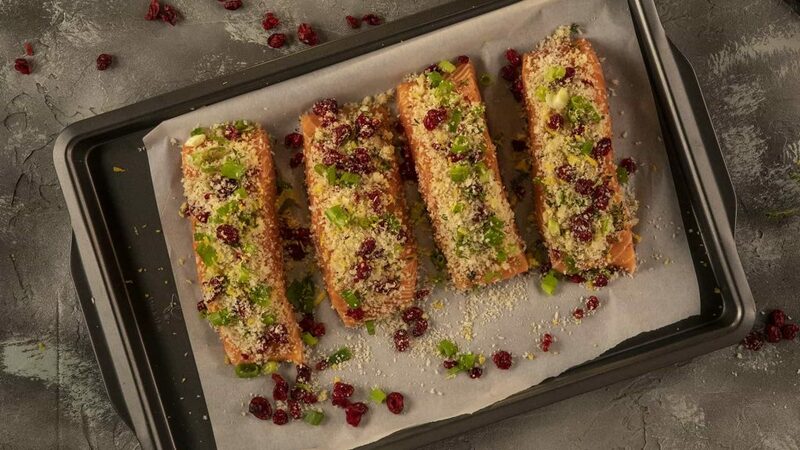 Combine panko, cranberries, onion, 2 tbsp. butter, thyme, and lemon peel in a bowl and season with salt and pepper. Press mixture on salmon and drizzle with 1 tbsp. melted butter. Bake for 20 minutes, or until topping is golden and salmon is just opaque in the center. Boil apple cider and honey in a small pan over medium high heat until reduced by half. Let fully cool. Marinate salmon in cooled honey cider glaze for 10 minutes. Heat oil on medium high. Season salmon and place in pan, flesh side down and brush with glaze. Cook for 2 minutes, flip salmon and brush with glaze. Drizzle lemon juice, reduce heat to medium and cook for 3-5 minutes. Boil parsnips for 5 minutes, or until easily pierced with a fork. Drain. Place parsnips, 3-4 cloves of roasted garlic, olive oil, salt, and ½ cup of veggie broth in a food processor and blend until smooth. Brush salmon with olive oil and place skin-side up in a preheated, non-stick pan. Sear for 4-5 minutes. Flip salmon and sear for another 4-5 minutes. 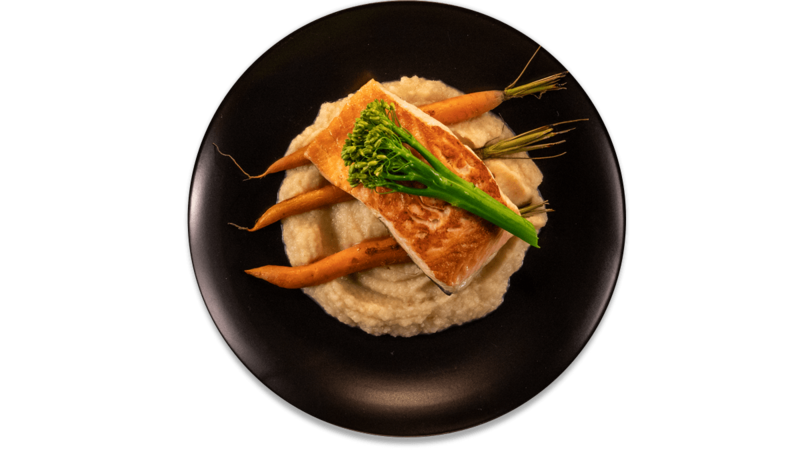 Divide parsnip puree between two plates, place salmon on top. Visit Seafood School for more Tips and tricks.